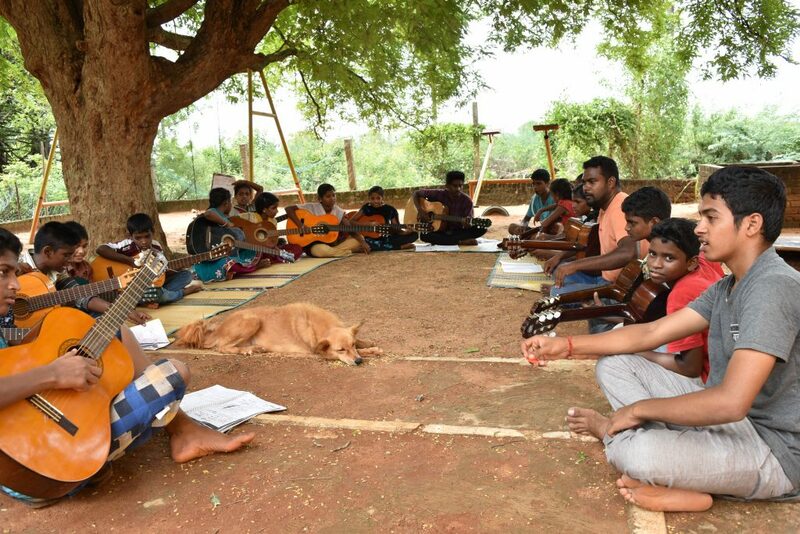 Isai Ma(i)yam means music centre and is a Dutch foundation who helps and takes care of the poorest children and youth in Pondicherry, India. 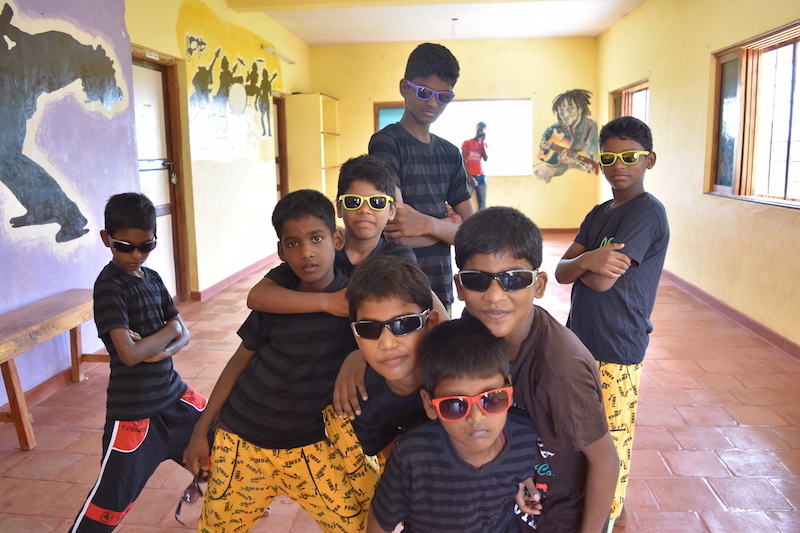 Isai Ma(i)yam gives shelter to the poorest (orphans) children and youth in Pondicherry, India. This is very important because many children have to deal with child abuse or other issues. It is very common that their mothers commit suicide by burning themselves. Many fathers are alcoholics, and they run away or can no longer take care of their children. Isai Ma(i)yam shelters about 50 children in their girlshome and boyshome. They can't live with their parents anymore or they have no parents. Here, they get shelter, food and education. They can work on a successful future in a loving environment. In addition, they get help in looking for a follow-up study and work. Although many children miss their parental home, you also see them smiling a lot. They can play outside and inside, they get love, care of and they can be a child again. Something these children but also children from poor villages really enjoy is the Artschool. Every weekend, the children are going to the Artschool. We were lucky to join a weekend here. It is a beautiful location and it gave us the feeling of a school camp. Inside, the children are taught traditional Indian dance, breakdance, drum, english, computer and more. Outside, they play guitar under the tree and many local games. It's nice to see that the kids can enjoy themselves here for the weekend. 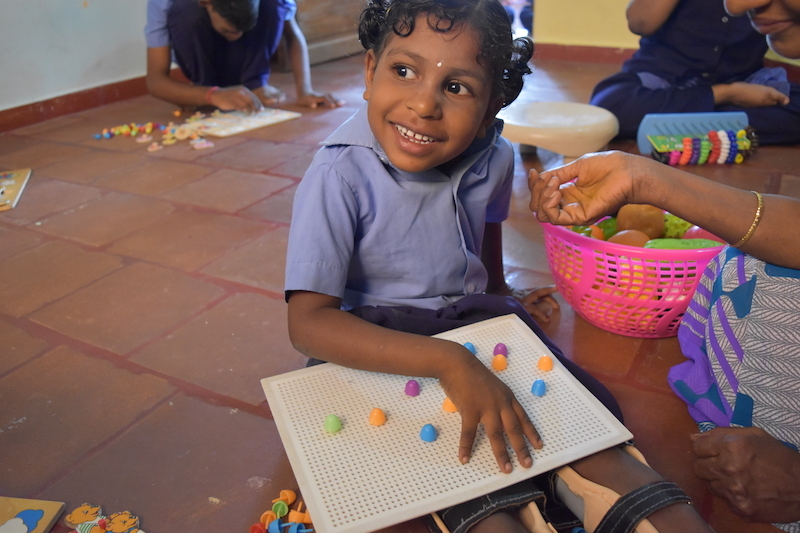 The rest of our time we stayed at the Ananda Daycare Center, a handicap school. This building is located next to the boyshome. The boys can use this building in the evening and morning. During the day, this building is used as a school for disabled children. Here, children with different disabilities have special education. They get physical therapy, yoga, music and dance lessons, sign language and more. They can learn here at their own level, which is not possible at a government school. 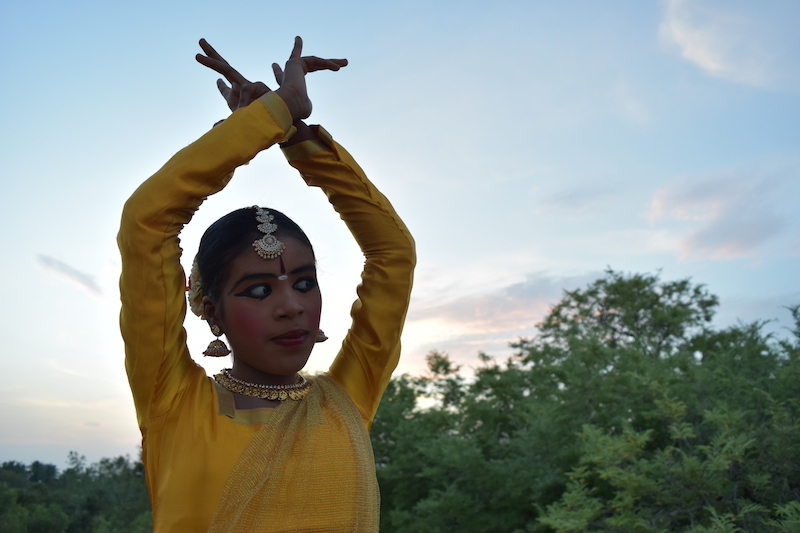 We spent a week with Isai Ma(i)yam. Brigitte, a Dutch woman who lives in India for years now and supervised the project, has shown us all the projects. She is very passionated with the children and is fully committed to the project. Brigitte told us some stories about how the children came to Isai Ma(i)yam. One story even more sad than the others. Some children saw how their mother committed suicide. Another girl has been sexually abused by her mother's friend for a year. Even with permission and under the supervision of her mother. These stories again emphasize the need for many shelters in India. It touched our hearts to hear that these kids have experienced all these things. At these moments, our own problems are nothing comparing to their problems. Most of the time we stayed at the handicap school, next to the boyshome. Every morning the same boy woke us up for breakfast, where they "fought" for a seat next to us. 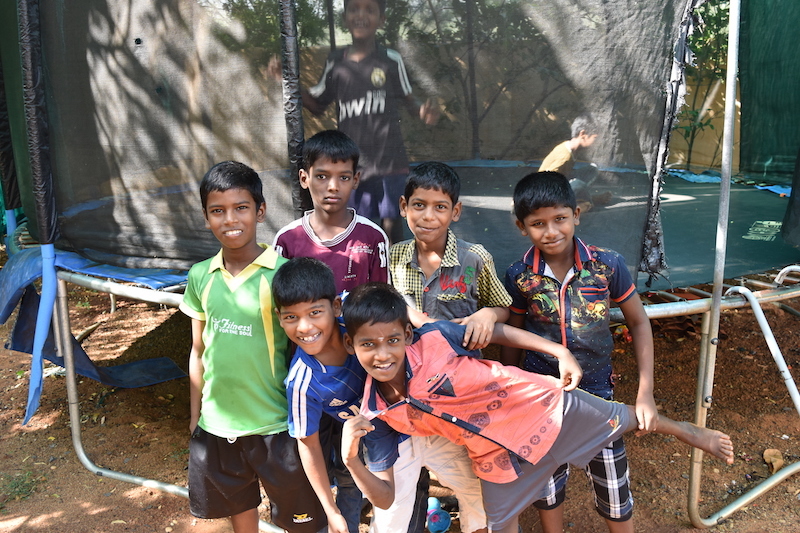 We waved them goodbye when they went to school and in the evening we fanatically played pingpong with the boys. We talked with the boys, made fun, played games and talked about serious things with the wardens and projectsleaders. They do an incredible job in taking care of the children. It is special how you can build a close relationship with everyone in such a short period of time. This made it difficult to say goodbye. 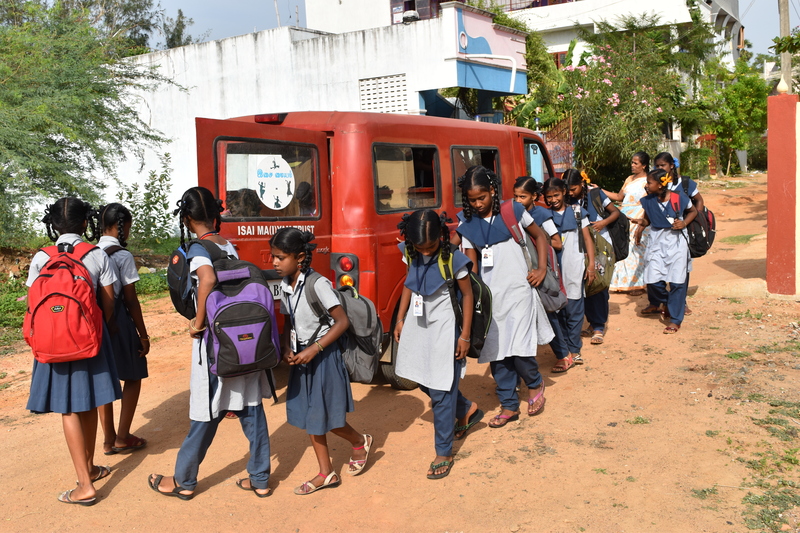 Isai Ma(i)yam runs several projects and helps more than two hundred children on their way to a better future. Although they own all the buildings they have, it still costs a lot of money to keep all projects running. They depend on donations to continue the projects. Do you want to make a small (or large) contribution to Isai Ma(i)yam? Donate via the donation form below. Volunteers are also more than welcome. There is room for 1 or 2 volunteers at a time. They will then assist in the daily activities, homework guidance and at the art school during the weekend. There is no charge and you can stay for free and eat at one of their locations. And believe us, it's a very nice place to do volunteering. Are you interested? Then contact us.